Iâ€™ve just returned from the 2008 Mortgage Litigation Conference, sponsored by the National Association of Consumer Advocates. The major buzz from the conference was electronically stored information (ESI), and its importance in litigation. There is no doubt many of this weekendâ€™s attendees are this morning retooling the way they are approaching mortgage litigation. A common problem for foreclosure defense attorneys is analyzing the records produced by the mortgage companies â€“ essentially because they are largely incomplete, false or fabricated. The production of the lender’s ESI solves this problem. ESI is the information stored on your mortgage servicerâ€™s computers that most accurately reveals exactly what happened with your loan â€“ from how and when it was transferred to subsequent purchasers to how and when the servicer applied your mortgage payments. Essentially, electronically stored information is the data, commonly known as metadata, which is encrypted in a report generated by the mortgage servicing company. Metadata is everywhere, and it is the digital fingerprint on every document. For example, go to the top of this screen to your browser menu and select â€œView Source.â€ You will see the data behind this blog post. If you look closely enough, you can see all sorts of information about this article that fail to appear on its face. Mortgage servicer metadata works the same way. For instance, foreclosure defense attorneys often request a transaction history for their clientâ€™s account, but what they often get is a sanitzed (altered) version that fails to reveal how your payment was actually disbursed. The deleted information, such as the fact that the mortgage company illegally charged you late fees and costs, is critical todefending your case, and you need to ensure you get that data. 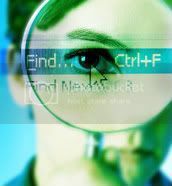 The importance of electronic discovery cannot be understated, and any litigation attorney practicing in the 21st Century must use this tool or risk malpractice. When seeking out an attorney to represent you in your foreclosure, make sure he or she understands how to get ESI from your mortgage company.